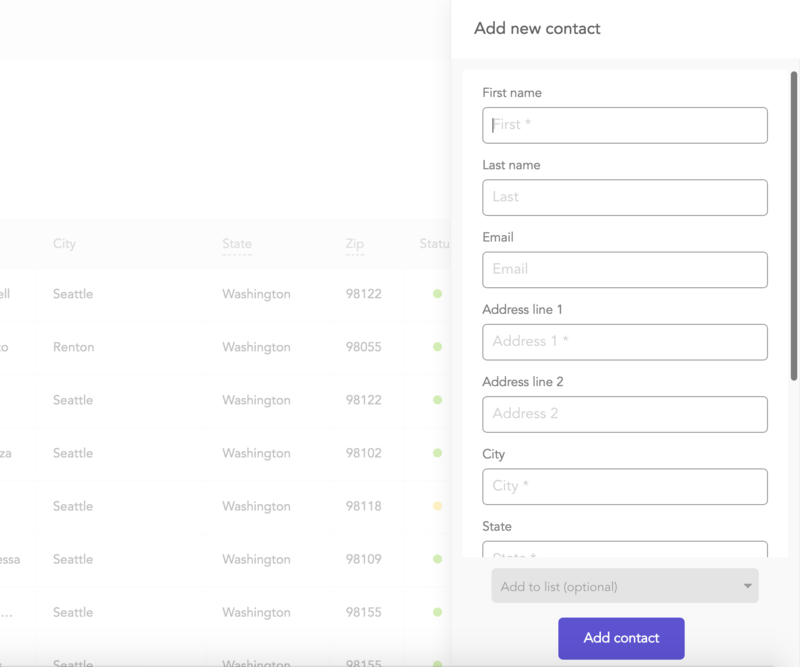 A sidebar will pop out where you can enter the details of the new contact. Some fields -- like each component of their address --- are required while others such as your custom fields are not. While email addresses aren't required, we highly recommend providing them if available. Mailjoy contacts with emails can be synced with other apps. 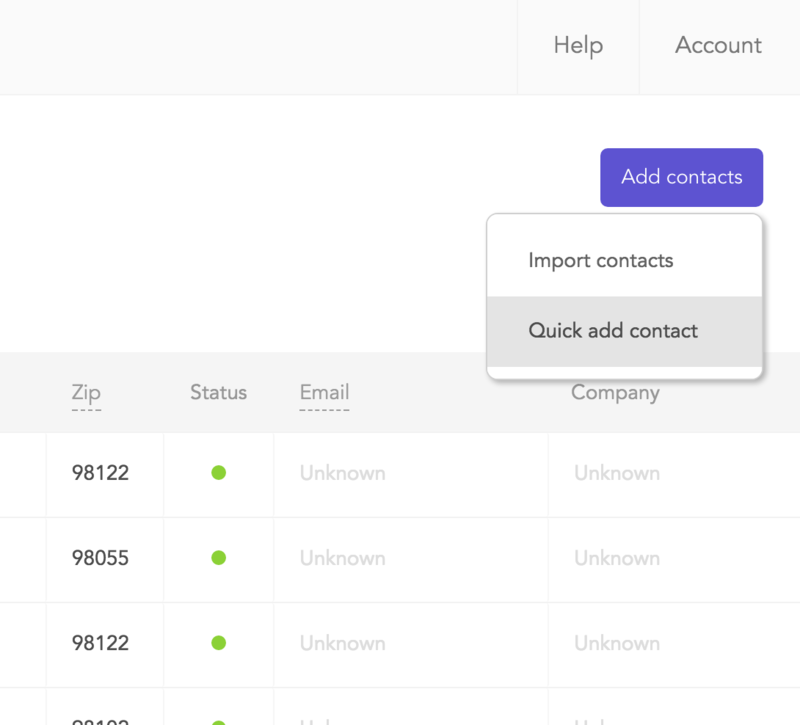 All new contacts are added to your Contacts database, but you can also add them directly to a specific list.